South Korea says BMW committed emissions fraud by falsifying documents for 29,000 vehicles. 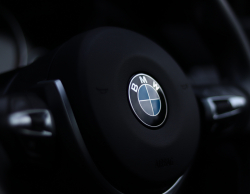 January 19, 2019 — BMW Korea has been fined $13 million (14.5 billion won) and six officials with the automaker have been sentenced to prison for their role in an emission scheme to defraud regulators and the public. According to the Seoul Central District Court, BMW is guilty of importing about 29,000 vehicles based on fraudulent documents. The six BMW execs were sentenced up to 10 months in prison for their roles in falsifying documents, with three of the officials quickly placed under arrest. The Court found BMW had altered emissions tests since 2011 to receive certificates from the National Institute of Environmental Research, something the Court said occurred because the automaker put profits above Korean laws. Finding BMWs illegal activity damaged consumers' confidence, the Court says the automaker intentionally made it more difficult for South Korean regulators to improve the environment. Back in 2015 when government regulators took an interest in emissions levels due to Volkswagen's troubles, BMW said it wasn't possible its cars included emissions "defeat devices." Those devices were used in millions of VW vehicles to fool regulators and the public for years, but BMW said it had measures in place to make the use of emission devices impossible. However, the automaker was instead busy with falsifying documents related to emissions systems. In November 2017, South Korea fined BMW about $54 million for forging documents related to the emissions systems of 28 models built from 2012 to 2015. Korean officials said at least 80,000 BMW vehicles were affected by falsified documents that altered fuel economy estimates. In addition to answering to investigators and lawyers about its emission systems, BMW has been in the hot seat concerning more than 50 car fires in South Korea. The government in December 2018 fined BMW $10 million over "delayed recalls" related to fires caused by the exhaust gas recirculation (EGR) systems.